ADORABLE BELLA BUTTERFLY FOLDABLE CHAIR: The Melissa & Doug Bella Butterfly Child’s Outdoor Chair is an adorable, easy to open and close soft outdoor chair. It includes a handy cup holder and stores easily in the matching carry bag. EASY TO CLEAN: This butterfly beach chair is made from durable materials that are designed for longevity and reliability. All surface materials on this butterfly camping chair are cleanable for easy cleanup. CONVENIENT STORAGE BAG: Our camping kids’ chair comes with a cup holder and also a matching carry bag, made from high-quality materials. 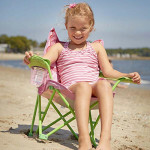 GREAT GIFT: The Melissa & Doug Bella Butterfly Child’s Outdoor Chair is a great gift. 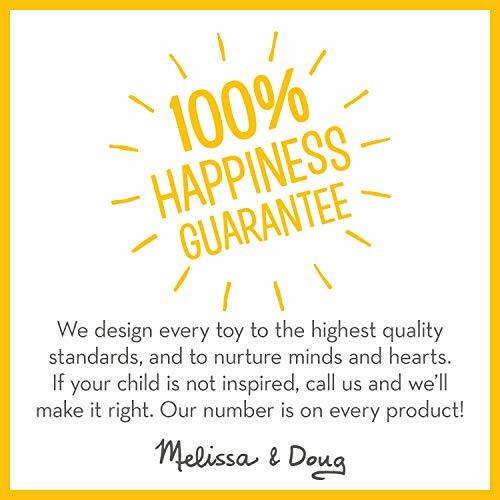 Add the Melissa & Doug Bella Butterfly Crawl Tunnel to round out the active, screen-free play experience.